As Director of the CAP-accredited BRPC, Dr. McCall serves as principal investigator for Duke’s institutional research biobanking protocol which has gathered the informed consent of over 5,000 patient-participants so far. 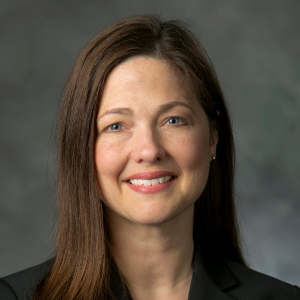 She co-leads the Precision Cancer Medicine Initiative at Duke which includes maximizing access to anatomic and genomic pathology data for research and facilitating Duke’s participation in the American Association of Cancer Research’s ‘GENIE’ data-sharing project. Dr. McCall is a member of the International Society of Biological and Environmental Repositories (ISBER) Standards Committee and is currently serving as the Vice-chair of the Biorepository Accreditation Program Committee of the College of American Pathologists (CAP). She is an Associate Professor of Pathology at Duke University who is also board-certified in Clinical Informatics. She is a GI Pathologist with a focus on esophageal cancer who has served on many translational science investigations including The Cancer Genome Atlas (TCGA) GI projects.